I'll never forget the look on her face the first day I saw her. She was so shy. So afraid to look up. No sparkle in her eyes. While her mom studied diligently inside the training facility she stayed a safe distance away from our meetings, only peeking in from the shadows and inching closer when she thought no one was looking. On breaks in between sessions we'd offer her warm smiles and try to invite her in, but the moment we made eye contact she would she would quickly dart away, pretending not to be seen. But oh, how she wanted to be seen. If only she would stick around long enough for us to reassure her that she belonged. Our humble meeting area was bursting at the seams with women who were noticeably different in countenance compared to the day before. 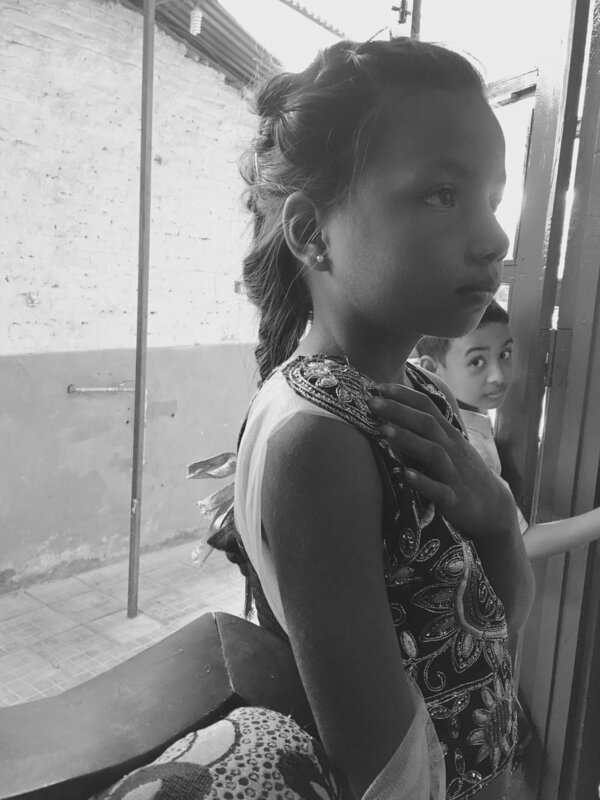 Today she heard singing, laughter, and joy coming from within the training center walls, and her eyes began shifting from the ground to the fresh hope that resided inside. I'd like to think that every time God's Word was spoken, her ears recognized truth and her heart was moved to know more. The Spirit does good work like that, you know. There would be more smiles and more inviting in. She would never make it past the door on this day, but she did move closer: from the shadows in between buildings onto the outside steps of the entrance where joy and hope gathered. There's so much for you inside. Today she arrived earlier than before, showing up on the steps this time with a friend (because sometimes there's bravery in numbers). I wonder if their conversation went something like this... "You have to see this." "There's something different about them." "My mom is so happy." "Could there be something for us too?" We smiled and invited them in again and again. It seemed a bit repetitious at this point, but some hearts need reassured more than others that there is a place for them. That they are welcome even in their imperfection. That they have an invitation to a greater story than what they've been living. They alternated peeking in and darting back. There were whispers and giggles; smiles and silliness. Then without warning and when we least expected it, they slipped inside into the chairs closest to the exit - a guaranteed easy out if needed. After three days of wondering, holding back, wishing, and waiting, they had finally gained enough courage to enter in. At first they kept to themselves and rejected our outstretched arms, but slowly - beautifully - trust formed and they opened their hands and their hearts to what God was doing in that place. Love abounded. Truth reigned. Jesus filled the empty spaces. And He made all the difference. THERE'S A WORLD ON THE OUTSIDE OF THE CHURCH LOOKING IN. 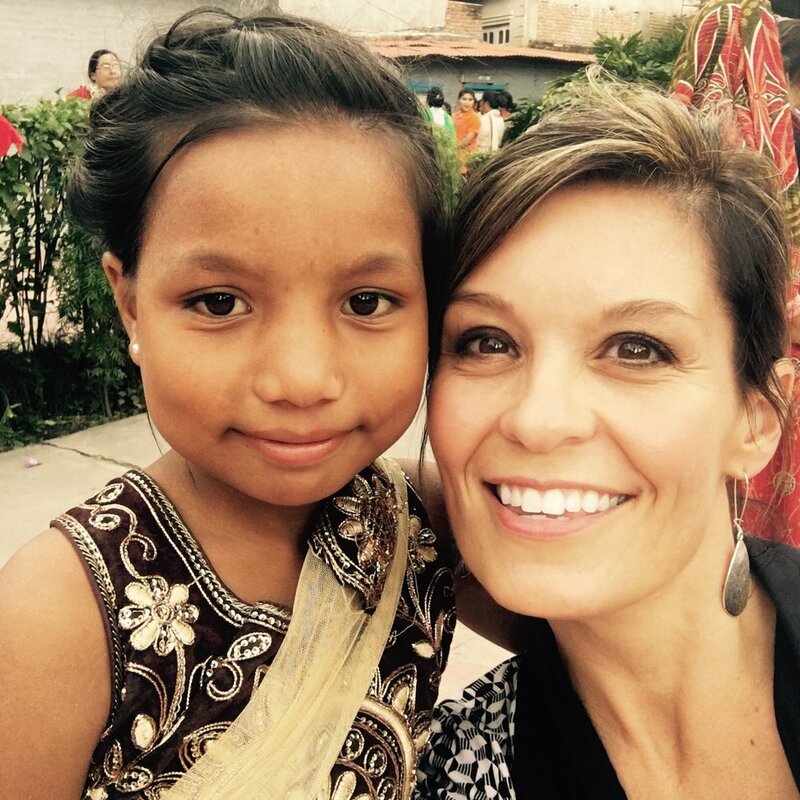 And in His sovereignty, God used this simple story of two transformed little girls to resonate with and challenge a courtyard full of women in Nepal to say "yes" to a God-sized vision for their nation. You see, right where they live there are communities overflowing with people who are peeking in from the outside, searching for more than this world has to offer. They're standing in the shadows, longing to be seen. They're broken, wondering if they're beyond repair. They're searching, desperately crying out for hope and a different story than the one they've been living. And it's time they're invited in to hear of the new life that can be found in Jesus. As Day 3 of our Esther Initiative training came to an end, we gathered the women in the courtyard to pair practical steps with what God was calling them to do. The larger group divided, and women - circled up according to region - began sharing their hearts, their dreams, and their prayers for the lost in their spheres of influence. They committed to continued training, mentoring, and discipleship opportunities. And one by one, these brave Modern Day Esthers said "yes" to becoming catalysts for God’s purposes in their nation by playing a strategic part in fulfilling the Great Commission - right where they live. 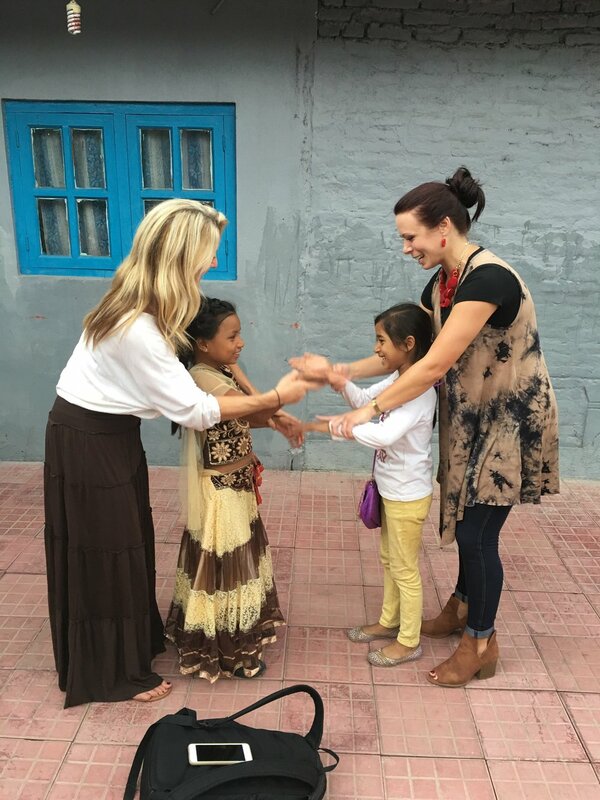 Paired with a bold Frontline Pastors three-year nationwide church planting vision, these women are indeed part of a greater story, that by God's power, will transform the spiritual temperature of Nepal. It's one thing to enter into the circle; it's quite another to feel welcomed; to dive into the new and yet know that you belong. And so we kept on smiling.